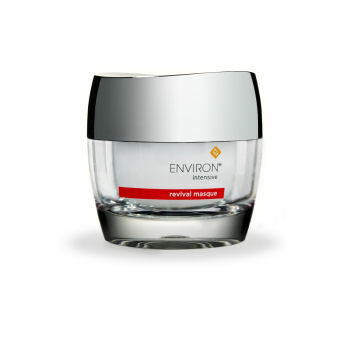 The Environ Intensive® range intensely targets specific areas of concern or specific skin conditions. The intensive revival masque has a unique combination of ingredients formulated to specifically target the effects of photo-damaged skin and the appearance of uneven skin texture. Revival Masque has won ‘BEST INSTANT FACIAL’ in Cosmopolitan’s annual Beauty Lab Awards! “I’m using this cream that’s really great for ageing skin and pigmentation and the mask is like a facelift in a jar!” – Hollyoaks Star Stephanie Waring’s take on our C-quence Creme and Revival Masque, as seen in New Magazine. The potent anti-ageing ingredients in the Tri BioBotanical Revival Masque mean that it should be introduced gradually. THE ENVIRON RANGE IS ONLY AVAILABLE TO PURCHASE BY CUSTOMERS WHO HAVE REGISTERED WITH COSMEDIC ONLINE AND ARE EXISTING USERS OF THE ENVIRON RANGE OR FOLLOWING A SKIN CONSULTATION. IF YOU ARE ALREADY USING THESE PRODUCTS, PLEASE CONTACT US AND WE WILL GRANT YOU ACCESS TO PRICES AND PURCHASING. OTHERWISE PLEASE CONTACT COSMEDIC SKIN CLINIC TO FIND OUT IF THIS PRODUCT IS SUITABLE FOR YOU. Mandelic Acid is useful in rejuvenating the appearance of pigmented areas. Mandelic Acid, found naturally in almonds, is a lipophilic Alpha Hydroxy Acid, meaning it is readily absorbed by oily skin. Mandelic Acid is reported to have natural antibacterial benefits and reduces oiliness over time without over-drying skin. May boost collagen – Resulting in a fresher, more youthful appearance. 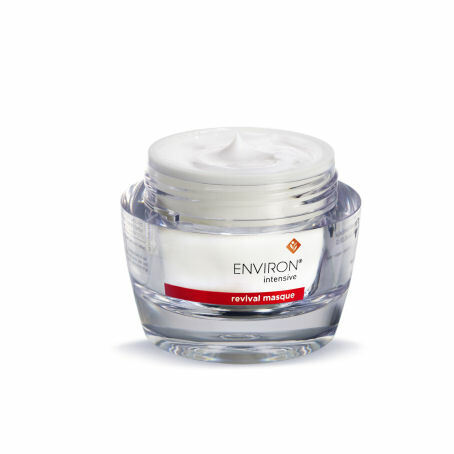 Scientific skincare that really makes a difference – Environ Skin Care. 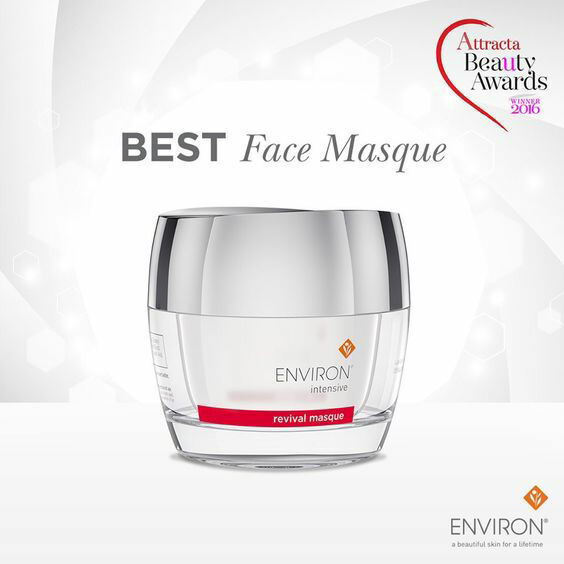 Environ Skin Care is a premiere quality brand offering outstanding results for people who are serious about skincare. Formulated by Dr Des Fernandes, a world-renowned plastic surgeon, the range contains a unique combination of active ingredients to protect the skin from environmental aggressors and combat the signs of ageing. Alternatively apply the revival masque and leave on overnight. Recommended for sun-damaged, mature skin types.